Special Challenge available this weekend! Special Challenge is a mode where you cooperate with other players to defeat powerful bosses. 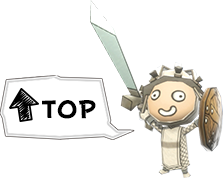 Collect Coop Points by working together with your allies and aiding the team. With Coop Points, you can receive rare and spectacular rewards! 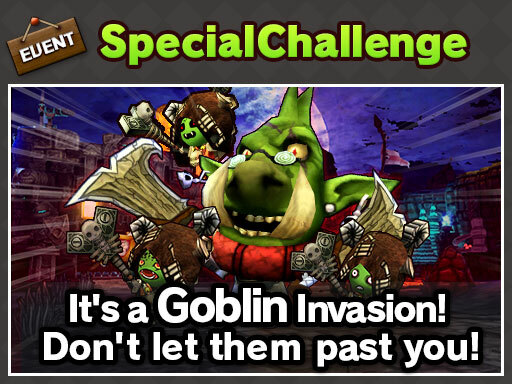 This weekend’s Special Challenge: Goblin Extermination! Join forces with your teammates and battle the brutal Goblin King in all of his goblin-y glory!! But the Goblin King is no slouch! He’s come prepared with gobs of allies of his own! There are a total of 4 teams that the Goblin King will lead into battle. Make sure you’re prepared for each!